Theo Banks has been running from the past for years. 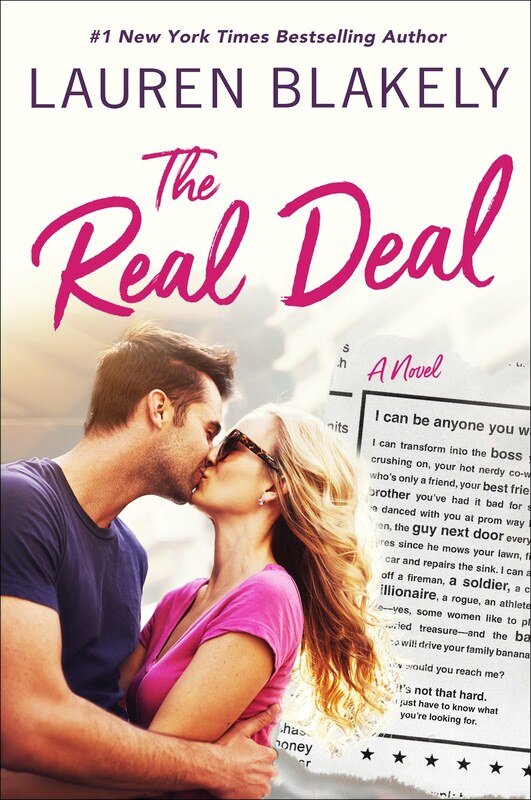 He’s thisclose to finally settling all his debts, and one more job as a boyfriend-for-hire will do the trick. He’s no gigolo. Please. He’s something of an actor, and he knows how to slip into any role, including pretending to be April’s new beau -- the bad boy with the heart of gold. 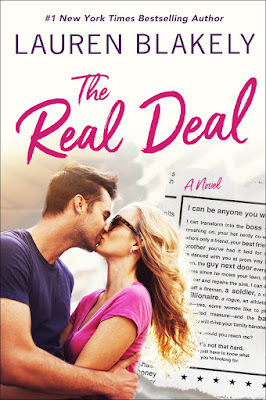 The Real Deal was a charming, flirty, and fun novel to read on a summer day! One thing I liked about this book was all of the characters! The author created a wide cast of characters that were all lovable in their own ways. I was glad that side characters had important roles in this story and weren't just thrown to the side once the romance was introduced. Speaking of the romance, the relationship between April and Theo made me SWOOOOON. At first, I thought their romance as going to be a cheese fest, but it ended up being a a cute and sweet romance! Their romance had a lot of flirty banter and plenty of playful moments. Their romance was one that made my heart feel like it was full of rainbows! Watching them build their emotional relationship by slowly opening up to each other and showing their true selves was a heart warming experience. That on top of their sexual tension made for an extremely enjoyable romance! Even though the romance was the main focus of the story, there were a lot of side plots that kept the book interesting and entertaining. There was a great balance of drama, swoons, and angst that made for a fun story! Overall, this was the perfect feel good type of romance novel that will put on a smile on your face! I recommend picking this up if you are looking for a sweet love story!